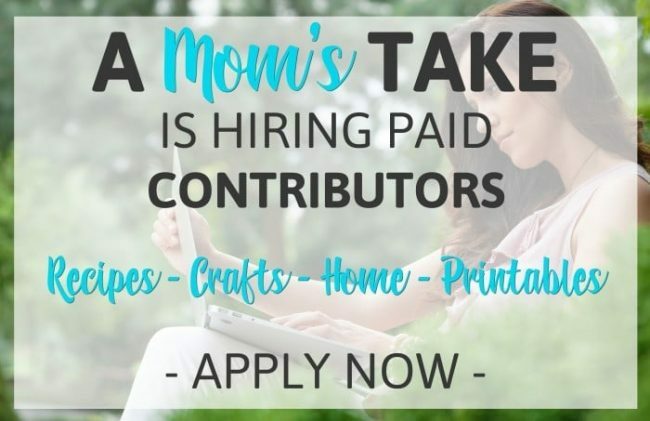 Bloggers Wanted – Join the A Mom’s Take Team! A Mom’s Take has been around for 7 years now, and we’re ready to take an exciting new direction with a creative team! We are looking to hire writers and creatives to bring new recipes, diys, home inspirations, printables, kids activities and other great content to busy moms looking for those resources and ideas to help them in their parenting journey. We know there is so much talent out there that is just waiting to be discovered! Maybe you’ve read blogs for a while and thought it might be something you’d like to try. Or maybe you’re starting your own blogging journey and want to learn from someone who’s been blogging for years and get some exposure while you’re at it. Whatever your story may be, we want to hear from you! Create 1-3 posts per month to publish directly to A Mom’s Take using your own contributor login. You’ll be featured on the about page, and everything! Take clear, beautiful, bright pictures to include within each post. Commit to a 1-year contributor agreement. Be creative and enthusiastic about one of the above topics. Be able to take top quality photos of your projects — THIS IS SUPER IMPORTANT! Have a fun personality that shows in your writing. Be responsible, able to meet deadlines, and follow through with commitments. You will be paid monthly for each completed post you write, via PayPal. Compensation starts at $25 per post, reimbursement for supplies, and bonuses for performance. 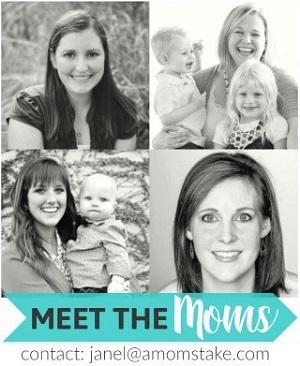 Exposure to new readers and followers through the A Mom’s Take social media channels. Opportunities to receive samples in exchange for round-up features or social media shares as a bonus perk for being part of the team! Potential revenue opportunities to partner with brands for sponsored posts campaigns. Access to a Facebook group to ask questions, bounce ideas off of each other, and grow your own site. If the form below is not loading, you can access it (here).